Susie M. Clyburn, 86, of New Haven, entered eternal rest on April 24, 2018. She was the widow of William H. Clyburn. 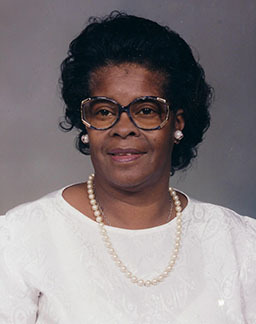 Mrs. Clyburn was born in Marston, NC on January 22, 1932, a daughter of the late Charlie and Annie McMillan. Prior to retiring, Susie was employed by the State of Connecticut Juvenile Detention Center. She was a Founding and longtime member of Christian Tabernacle Baptist Church where she sang on the choir for many years. She leaves to cherish loving memories, sons, Edward McMillan (Evelyn) and Nathan C. McMillan (Martha); a brother, Elijah McMillan; seven grandchildren; thirteen great grandchildren; and a host of other relatives and friends. She was preceded in death by a brother, Willie McMillan; and a sister, Blanche Mcleod. Viewing and visitation will be held, Monday, April 30, 2018 from 6:00-8:00 p.m. at Christian Tabernacle Baptist Church, 425 Newhall St., Hamden. Burial will be in Marston, NC. So sorry to hear of your loss. Praying for strength and comfort at this difficult time.